Depending on where you live, pests are inevitable. When they are attacking your crops, you need to act fast. 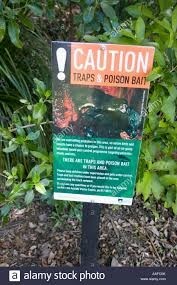 Below are some of the best ways to get rid of possums and other menaces. It’s important to be self-sufficient. Cultivating crops makes you less dependent on others. One of the most important factors of a stable economy is that how much it is dependent on importing the necessary goods from outside. You want to be sure possums and other animals aren’t undermining your efforts. Possums leave urine and feces behind. They also have a strong scent. They can do serious damage to a garden. You will need to assess whether the damage has been done by possums or whether something else is after the crops. One way to make sure that the culprit are possums is by measuring the hole they created as they need at least 3 inches to squeeze into it. If it is a raccoon, the gap will be around 4 inches wide. It is much harder to protect something as open as fields and it is as important as protecting your house from possums. Possums need to be controlled because they can eat over 65 types of plants. They can completely destroy a farm full of crops in a matter of a few days. They don’t need much to survive; a nesting place is enough as long as they have access to food. You will find their nests in hollow logs, under masses of vegetation, or in trees. Some people have tried installing a two-strand electric fence that has wires at 4 inches and at 12 inches. This would help to not only protect the crop against possum but it would also protect the crops from damage caused by other pests. Poly tape also works well for this purpose. An electrical fence usually activates at dusk and remains on until dawn. Sometimes you have to resort to catching possums and relocating them. This is the most economically friendly way and the most effective method as well. However, it requires daily commitment as you will have to put food in the traps and check in often. 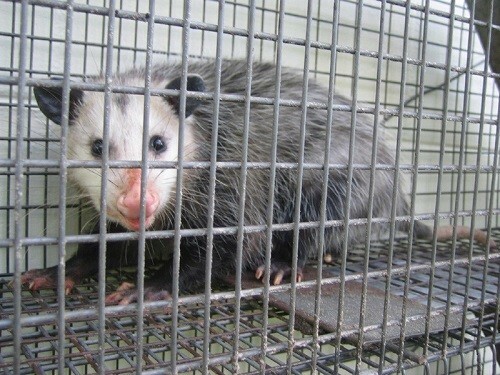 The minimum sized box for catching a possum should be 10 x 10 x 32 for traps that have single doors. You could place the trap away from direct sunlight so that the possums do not suffer as much after being caught. After catching them, you can release them off your property. Killing the pests should be the last resort. However, it is another option. 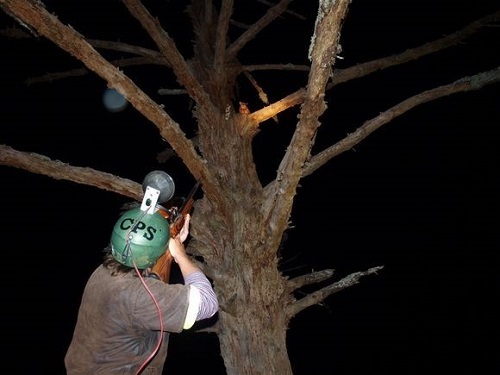 Landowners can shoot possums if they are causing a significant damage to the crops or other things present on their property. However, you can only shoot if it is in accordance with the laws and the regulations of your town. After trapping them, you could kill them by applying one or two sharp blows to their heads right behind their ears. Since the damage done from possums can be severe, some places like New Zealand doesn’t allow them to be released and instead they have to be killed humanely. The poison regulations differ depending on where you live. A common and cost-efficient way is to use phosphorous as a poison. However, check with your area. This won’t be an option if you have pets or raise animals. To find a safe and humane way to get rid of possums, raccoons, and other critters, you can call a professional. Professionals will be able to treat the nuisance safely and easily. These are some of the ways on how to control possum that could really help you out. There are over 6,000 types of species that can cause pest damage to gardens and crops. However, the insects cannot travel very far and are limited to the accessible areas that take care of their biological and physical needs. Some insects are pests only in some seasons, others cause crop damage throughout the year. Pests are a nuisance and can destroy your entire crop. This will cost you money but also the time you have put into it. You could always go for professional help if you are worried that the pests would damage your crops. However, there are some things that you could do yourself that would keep the pests at bay and keep your plants safe. Since these methods only keep the pest away and do not hurt them, it is the most humane way. 1.) Burn the crops that are diseased so that it doesn’t spread to other healthy plants. 2.) Mulch your crops regularly. 3.) Grow some plants around the crops to repel the pests. Pesticides are poisonous. You should only use them if there is no other option left to protect your plants from the pests. You should read the guidelines and only spray till the allowed limit. Overusing pesticides could not only damage the plants but also could make the plants unsuitable for human consumption. You also have to take care of other factors like not spraying into the soil or elsewhere. Use the pesticides only on those plants on which the pesticide is intended to use. These are the best ways to get rid of possums, raccoons and other critters. Pests can be a real problem for farmers and landowners as they can destroy the hard work done over months in merely just a few days. While trying to get rid of them, it is important that we adopt humane ways because the pests are just looking for ways to survive. You could use different pieces of equipment and ways to capture possums and raccoons to get rid of them so they don’t damage your plants further. Killing the pests or rodents should be the last resort when there is no other way to stop them. 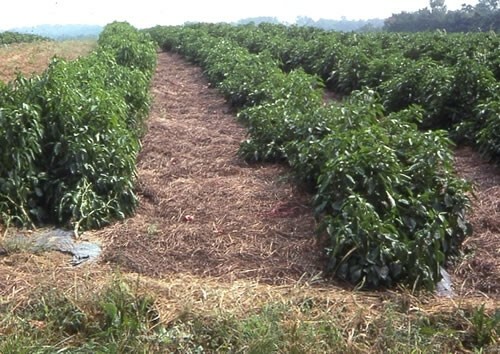 But, if you plan beforehand, there should always be a way to avoid having to kill pests in order to save the crop.